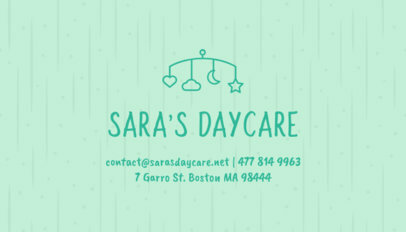 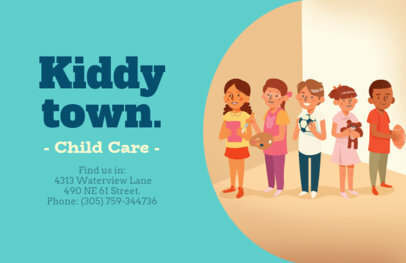 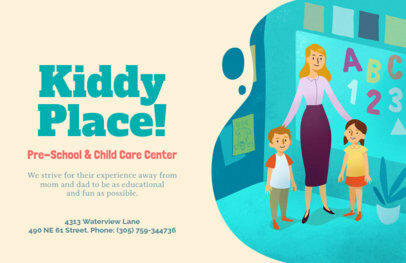 Design a flyer for your daycare business using this easy to customize flyer template. 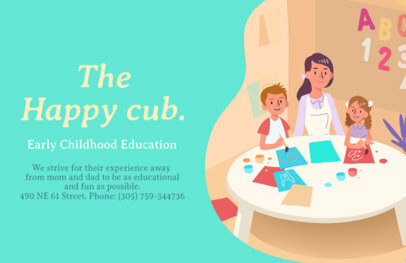 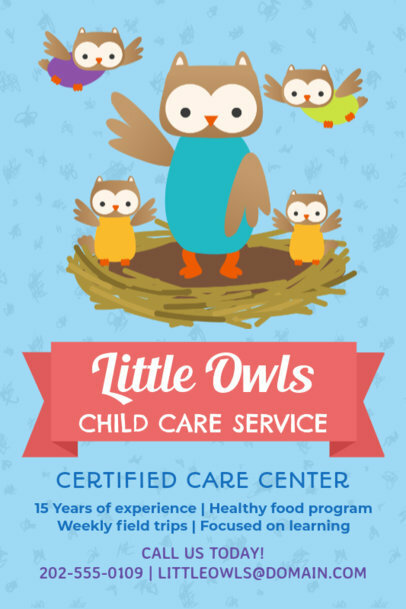 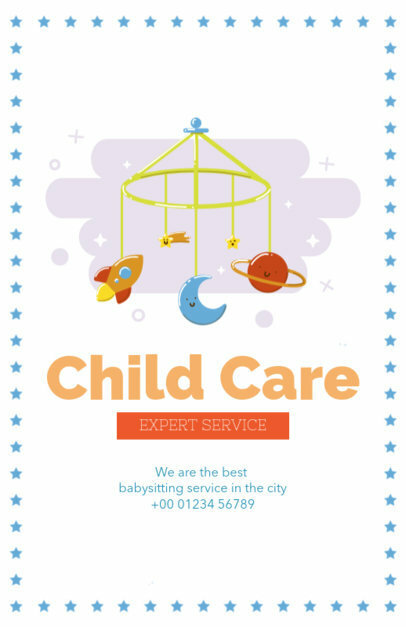 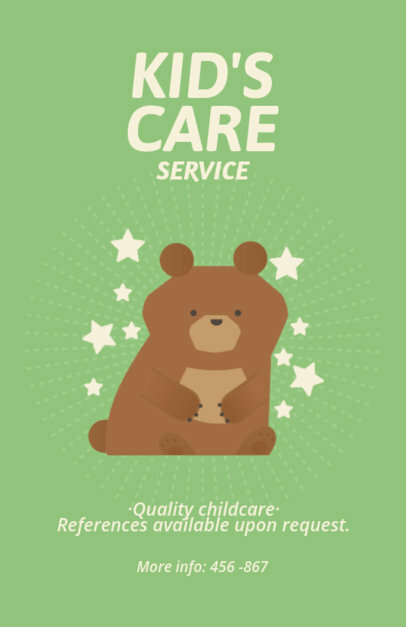 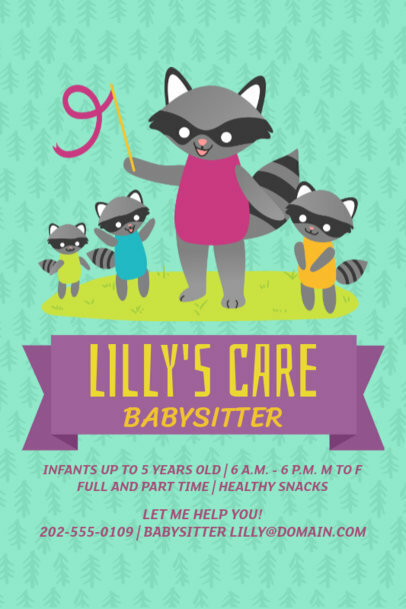 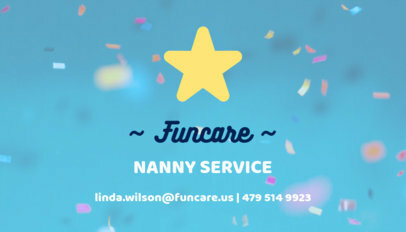 It only takes minutes to create an attractive flyer that advertises your child care services, daycare business, or nanny services thanks to this flyer maker. 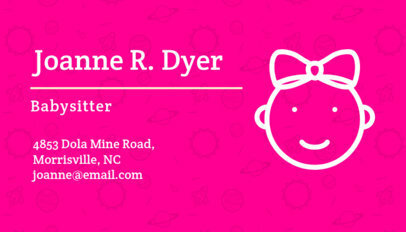 Since this is an online flyer maker, you don't even need any design software to customize it! 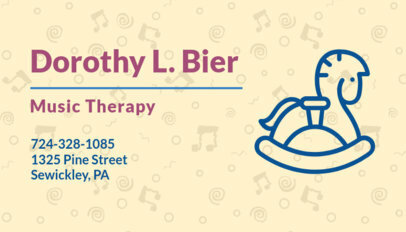 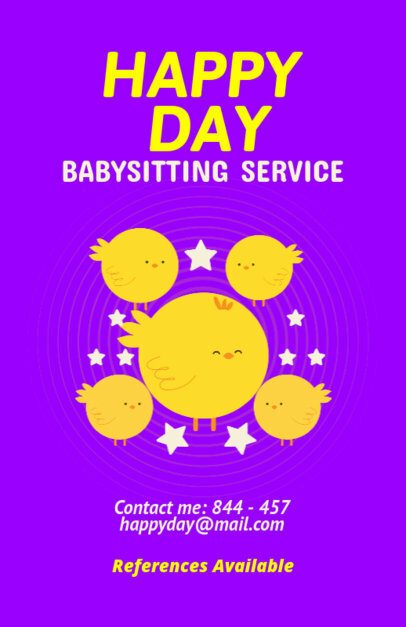 This flyer design template features tons of icons you can choose from, including babies, bottles, rattles, rubber duckies, baby animals, toys, and much more! 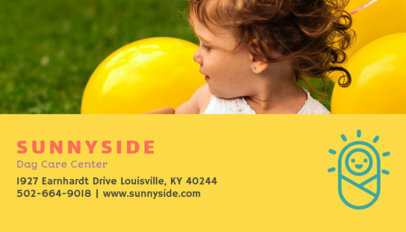 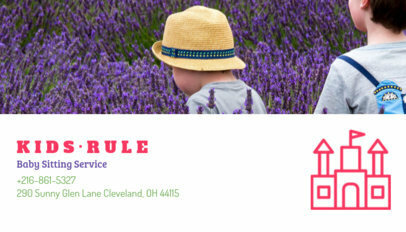 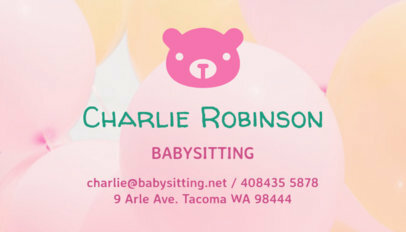 Attract more customers to your babysitting business with a professional business card. 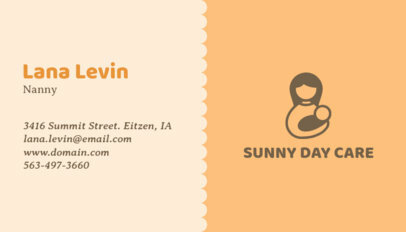 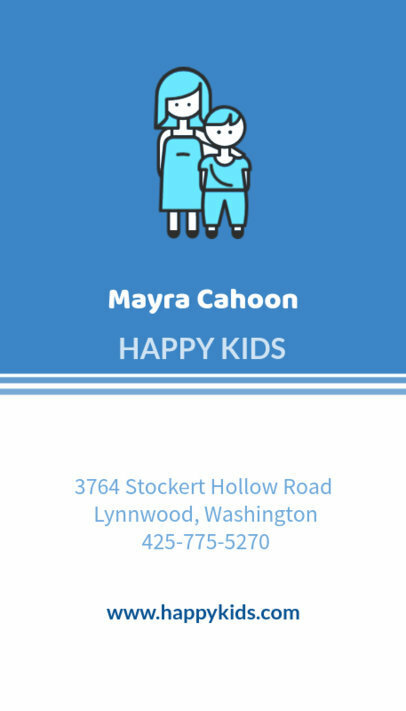 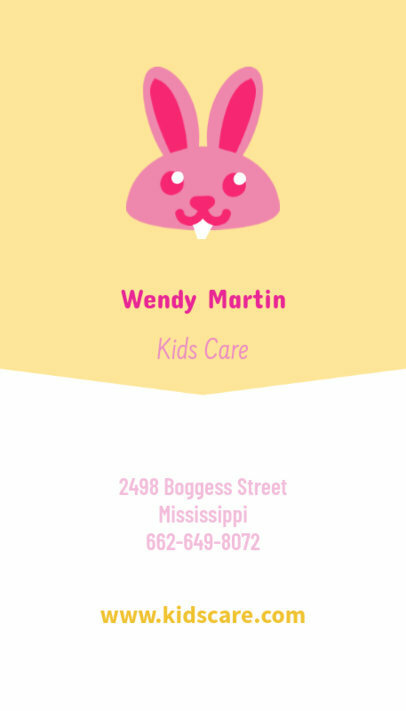 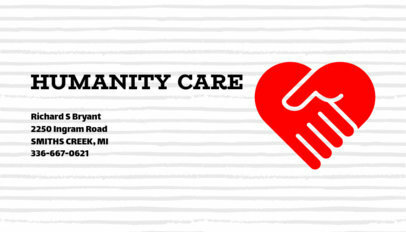 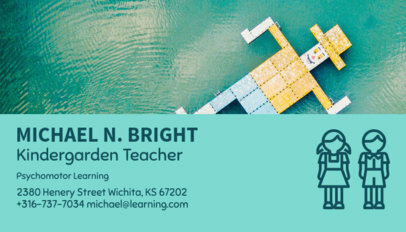 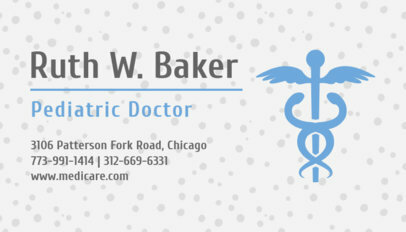 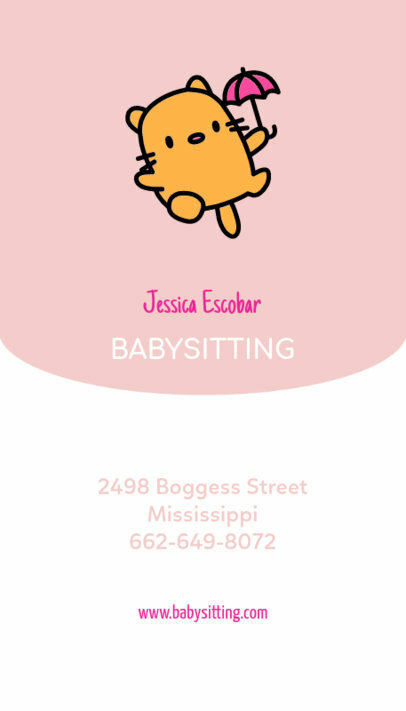 To design your own business card for a babysitter, daycare, or nanny, use this business card maker! 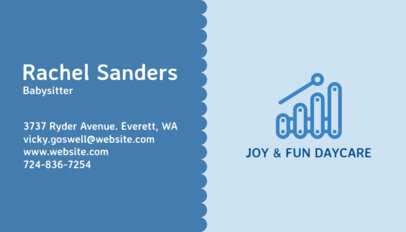 Using this online business card maker is easy and it doesn't even require any design software! 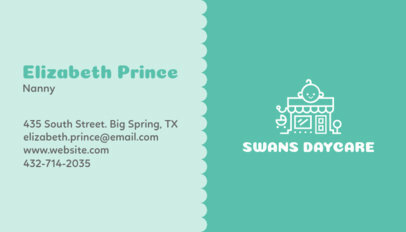 You can customize the text, colors, and graphics on this business card template in just minutes. 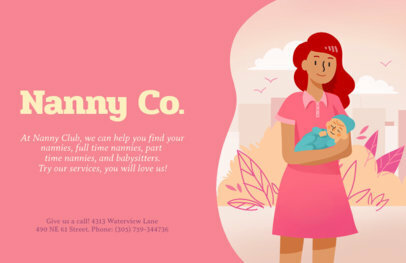 There are tons of graphics for you to choose from, including babies, baby animals, nannies, stroller, toys, and much more! 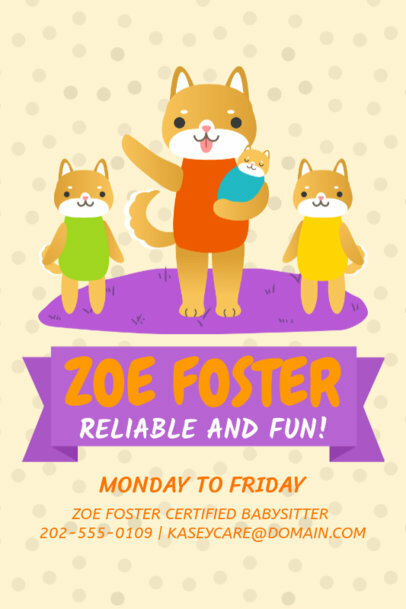 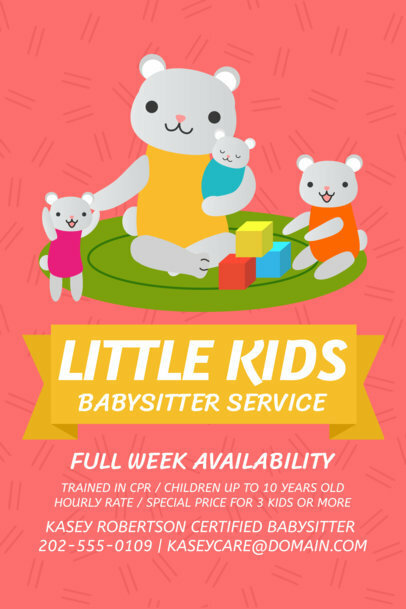 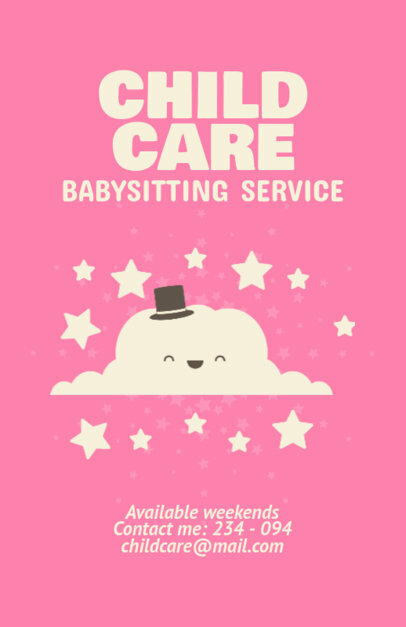 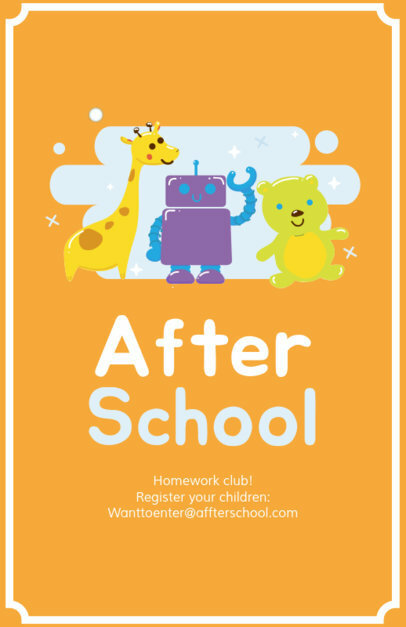 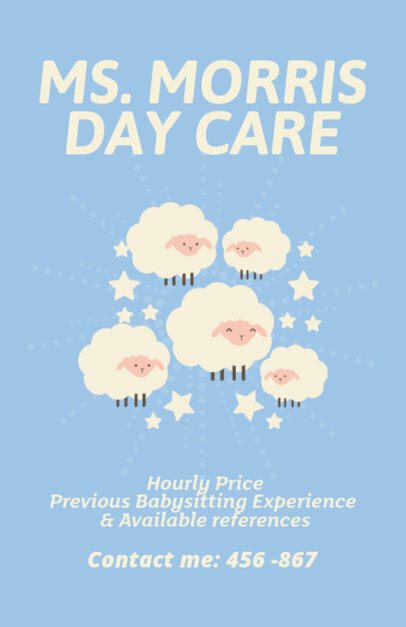 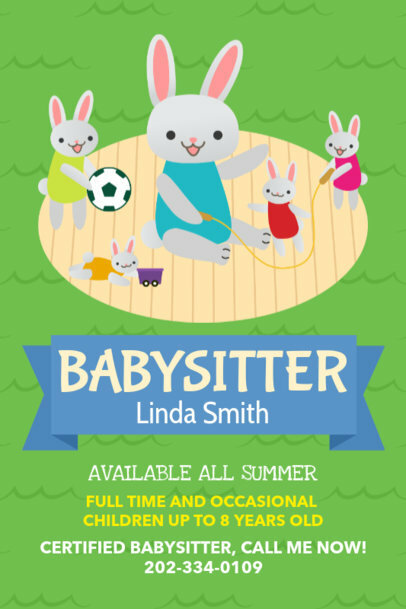 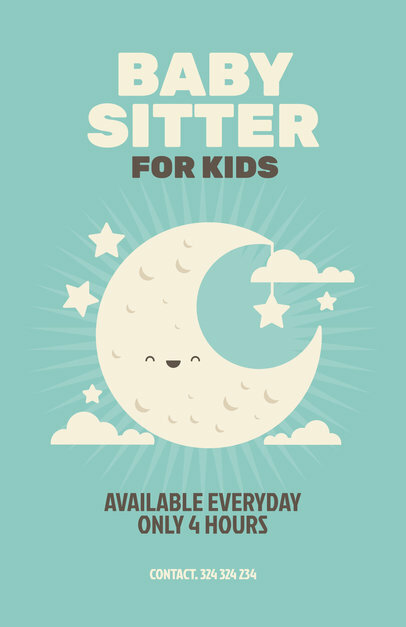 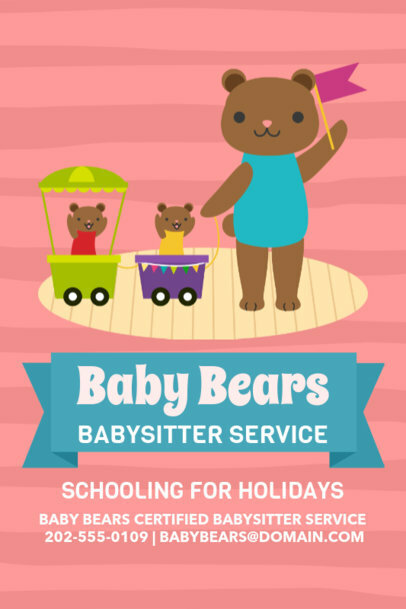 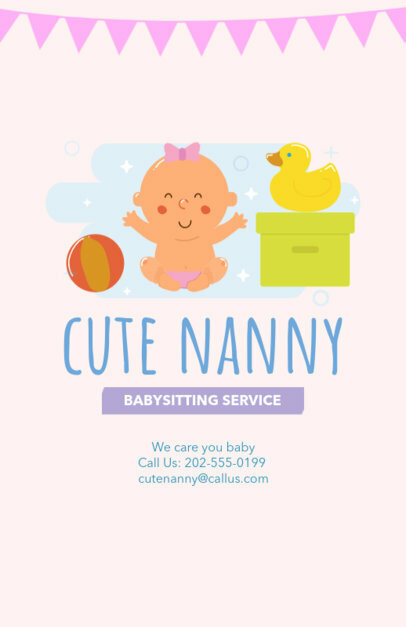 Gather new clients for your babysitting services using this online flyer maker with adorable illustrations featuring baby animals, the Moon, and clouds! 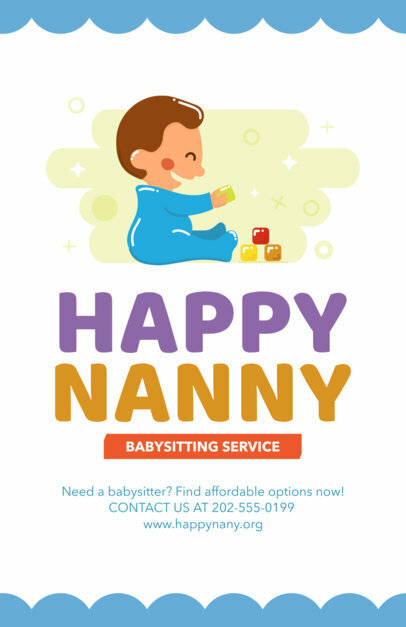 Ready to become everyone's favorite nanny? 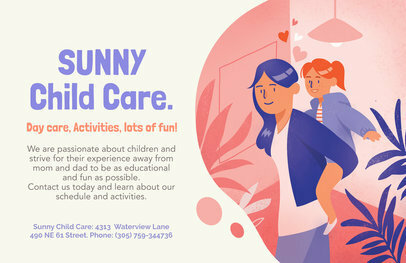 Customize this flyer template by editing the text fields, selecting your favorite colors, and choosing your graphics. 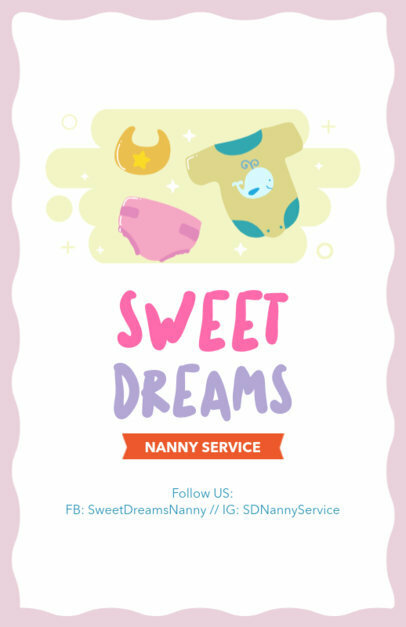 Your flyer design will be ready in seconds! 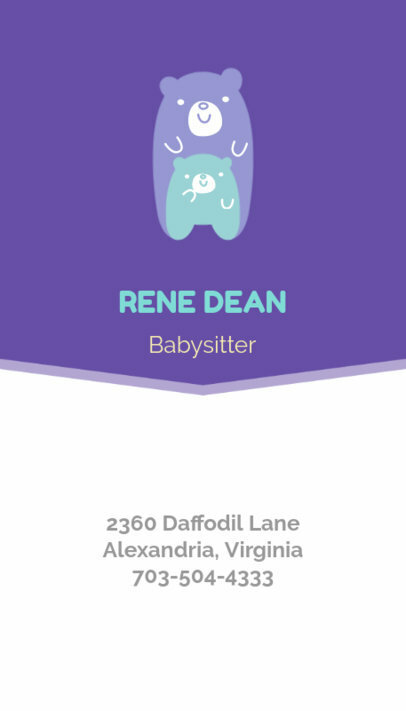 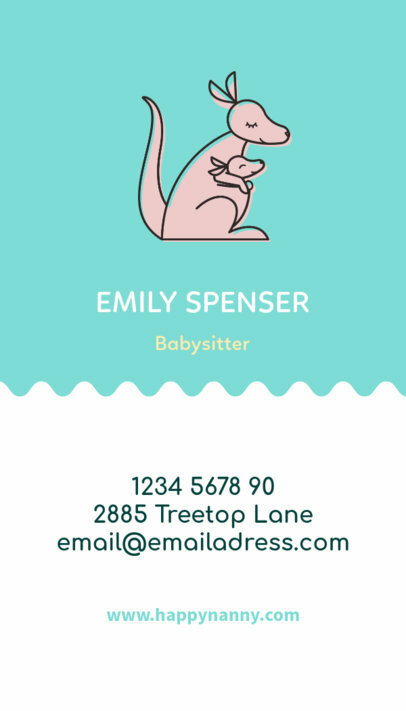 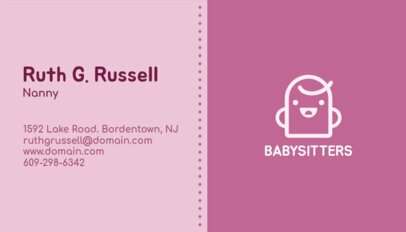 Use this babysitter business card maker to create your babysitting business card in minutes, without design tools or hiring a designer! 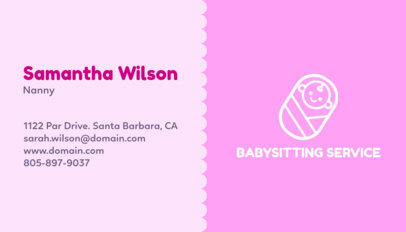 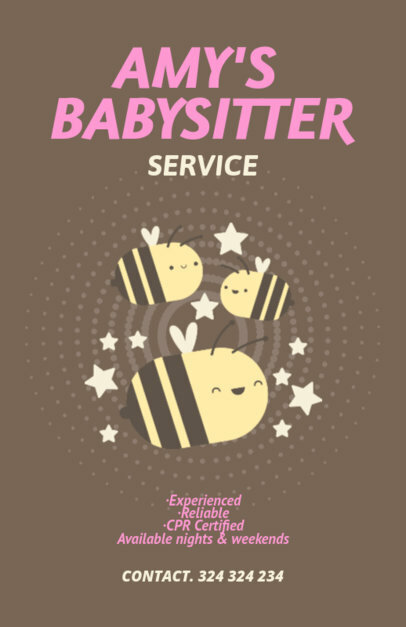 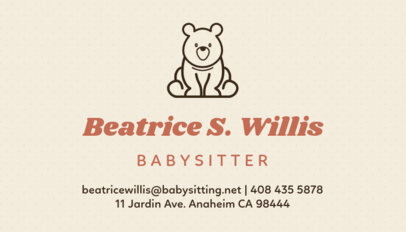 Use this babysitter business card and you’ll see how easy it is with professional results! 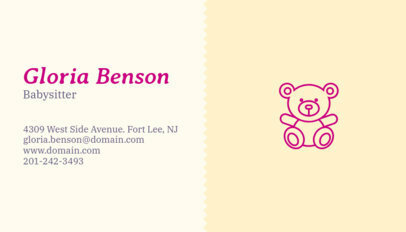 There are many graphics to choose from like babies, pacifiers, and toys. 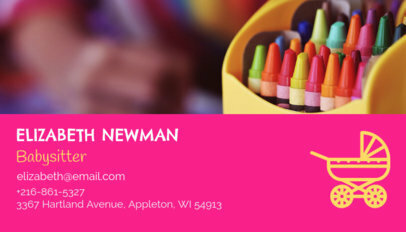 Just write in your information, and choose a font and graphic to finish your design. 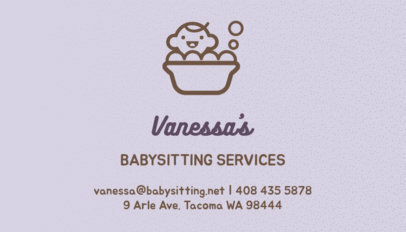 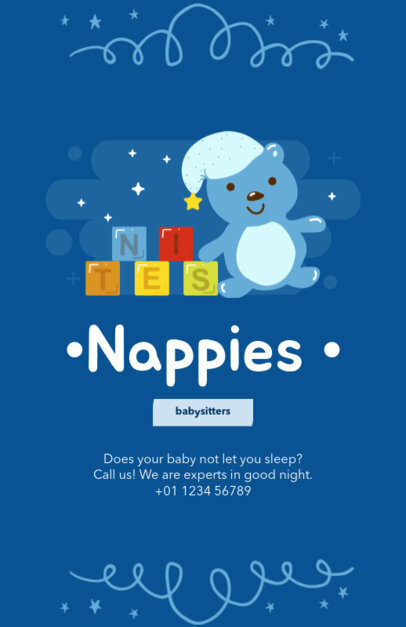 Try this babysitting logo maker!